I'm feeling lucky this humpday. It's mid-February, we're coming up on a long weekend. Things are looking up. 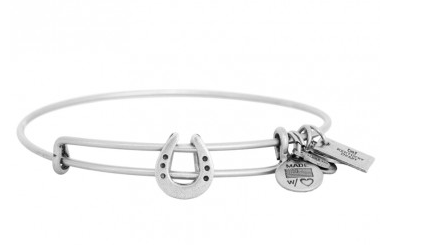 So let's ride out this luck with some horseshoe jewelry. One thing to remember when sporting this simple statement: always, always, always, make sure the horseshoe is right side up, otherwise all of the luck will fall out. Like this. Avoid it. Check out the pyramid stud details that mimic the horseshoe nails. Brilliant. 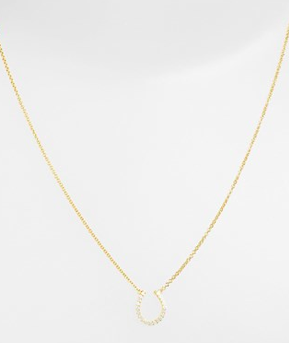 This delicate crystal charm also comes in a very feminine rose gold. Every woman knows and loves this brand. 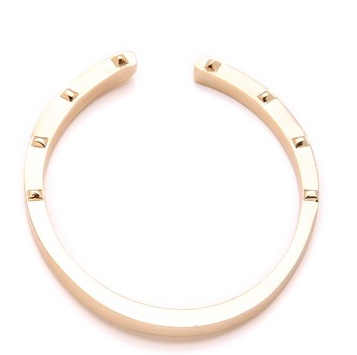 I love their simple bangle that is adjustable and affordable. As a reminder, you want to turn these babies right side up, but let's focus on how cute this set is! 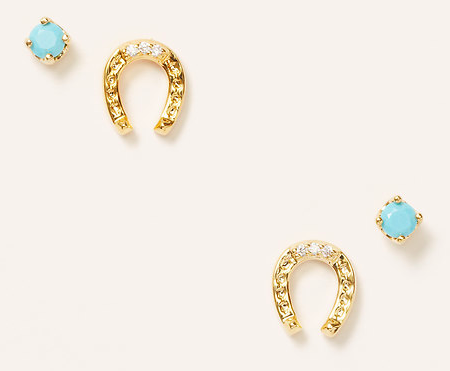 Grab yourself some luck with these horseshoe accessories.